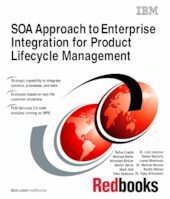 This IBM Redbooks Publication documents the Product Development Integration Framework (PDIF) architectural approach towards Enterprise Integration around the Product Lifecycle Management application space. The primary focus being the integration of Product Data Management (PDM) systems to other PDM systems and PDM systems to Enterprise Resource Planning (ERP) systems, mainly SAP. The objective of this Redbooks Publication is to document the lessons learned (best practices) and articulate the Service Oriented Architecture (SOA) and Integration Framework that the PDIF team has developed over numerous customer engagements. This Redbooks publication is defined for an audience of Business Analysts, Software Engineers, IT Architects, and IT Specialists. Chapter 4. Business scenario: A day in the life of Trucks, Inc.